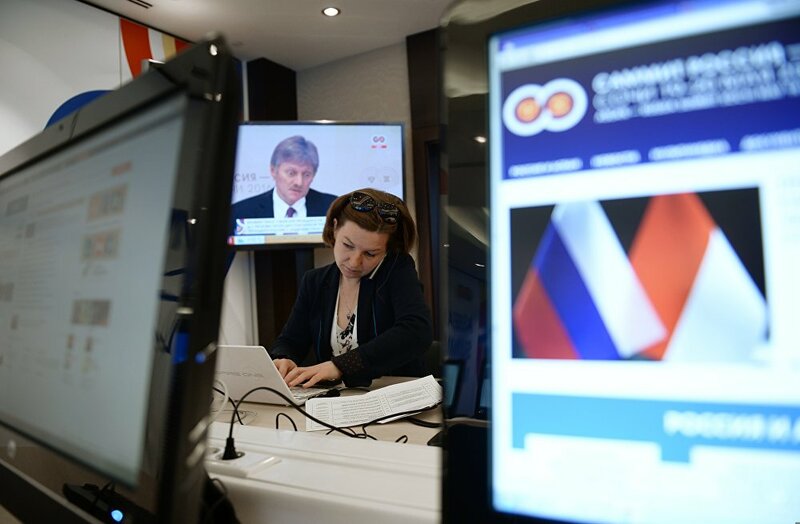 Journalists working at the International Press Centre for the ASEAN-Russia Summit in Sochi. 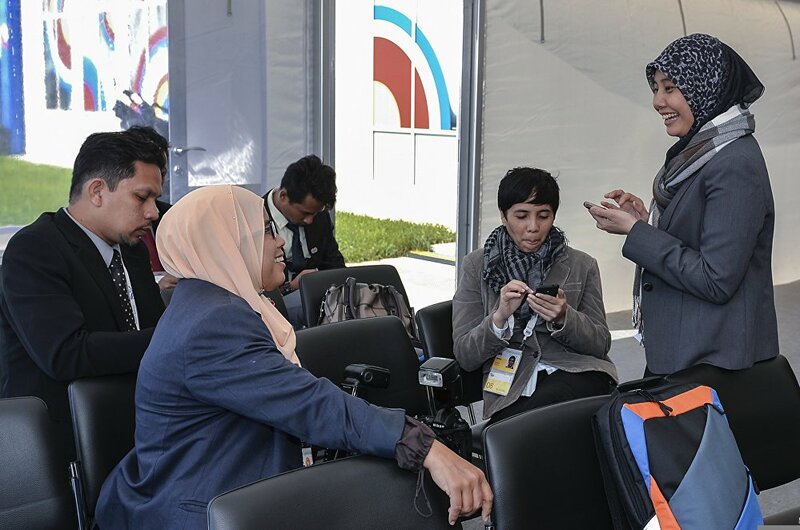 Journalists at the International Press Centre for the ASEAN-Russia Summit in Sochi. 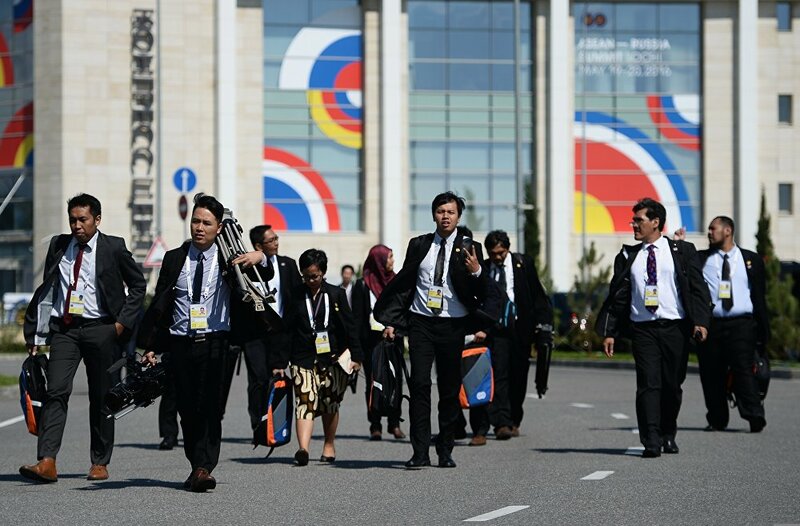 Journalists working at the International Press Centre for the ASEAN-Russia Summit near the congress centre in Sochi. 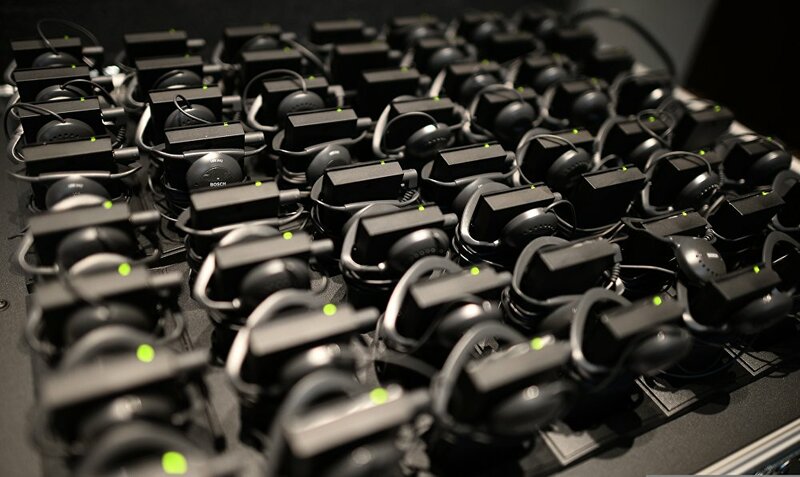 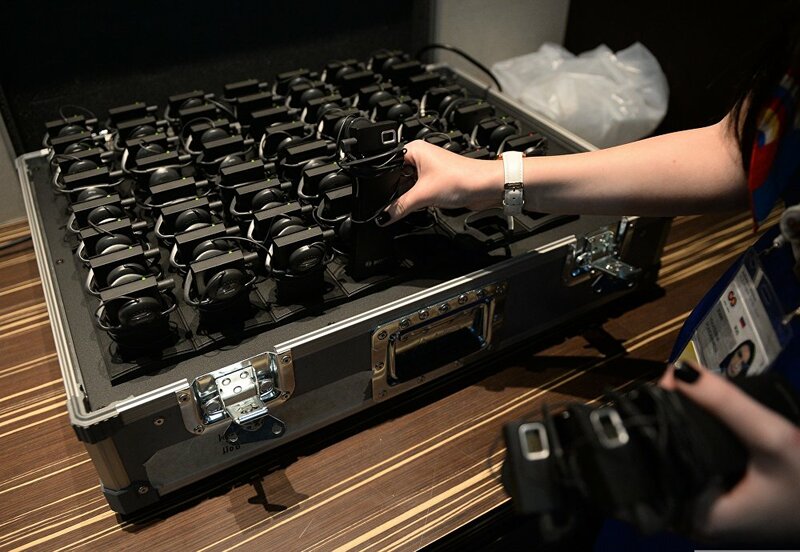 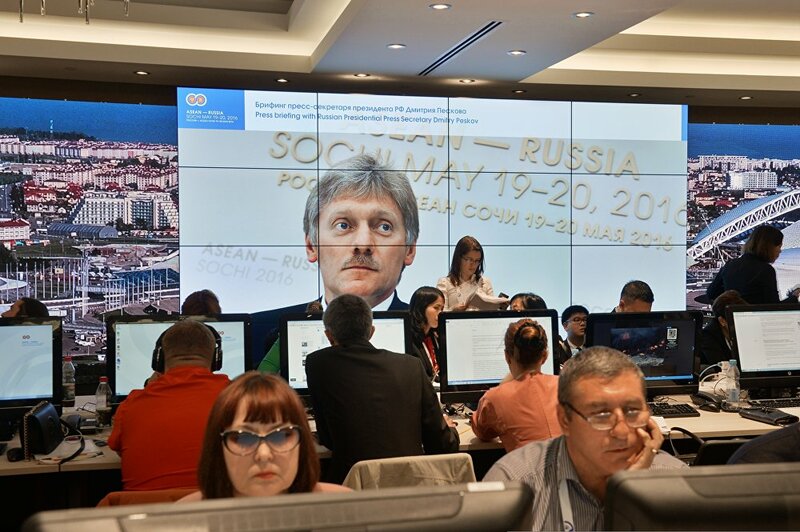 Headsets for simultaneous interpretation at the International Press Centre for ASEAN-Russia Summit in Sochi. 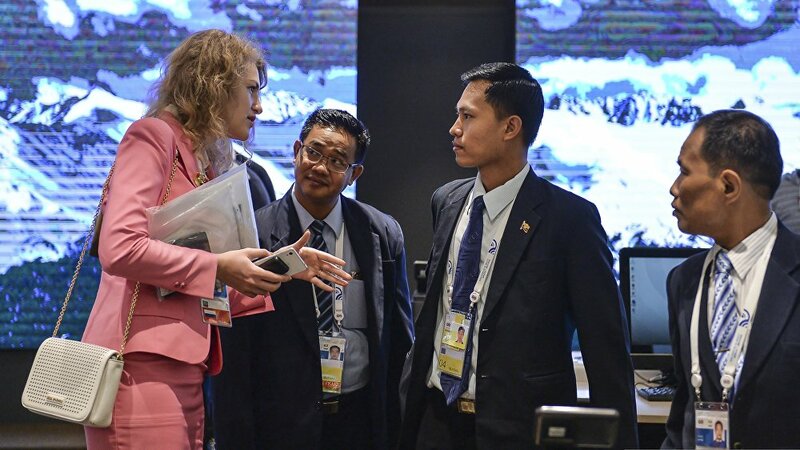 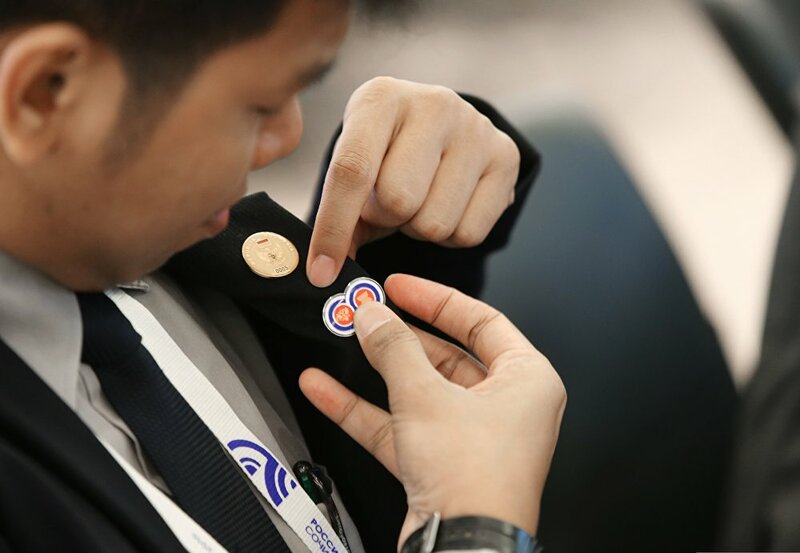 A journalists pins a badge with the ASEAN-Russia Summit logo to his jacket at the International Press Centre for ASEAN-Russia Summit in Sochi. 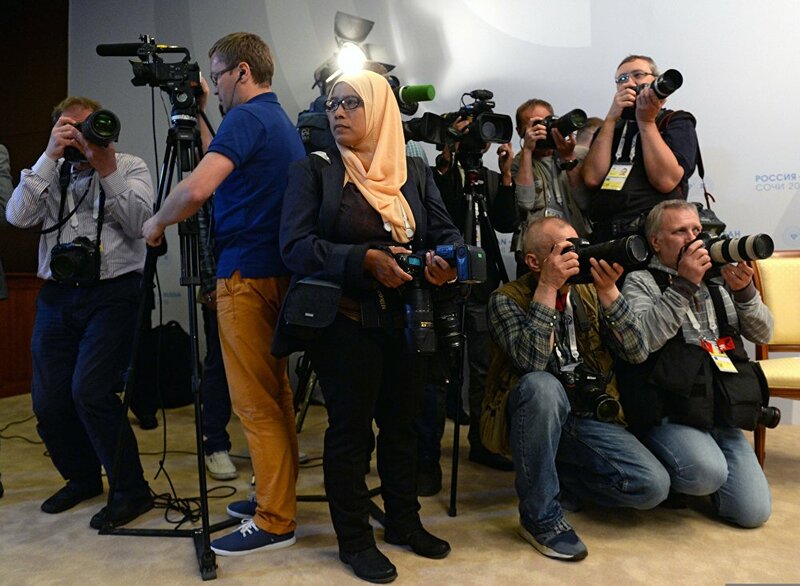 A journalist at the International Press Centre for the ASEAN-Russia Summit in Sochi. 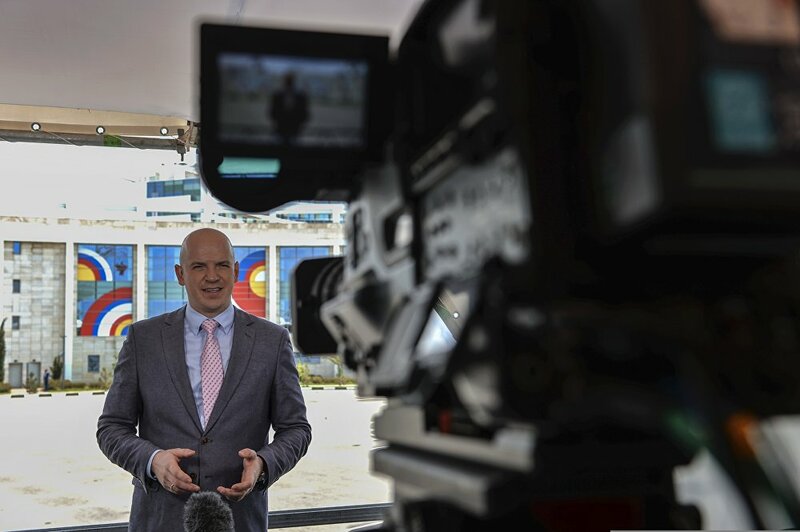 Journalist Stanislav Natanzon at the International Press Centre for the ASEAN-Russia Summit in Sochi. 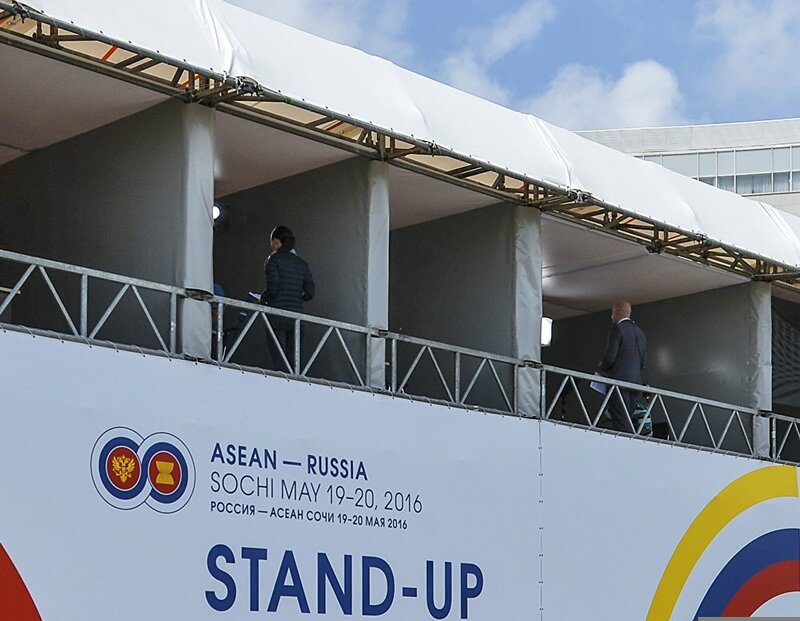 Journalists on live stand-up positions at the International Press Centre for the ASEAN-Russia Summit in Sochi. 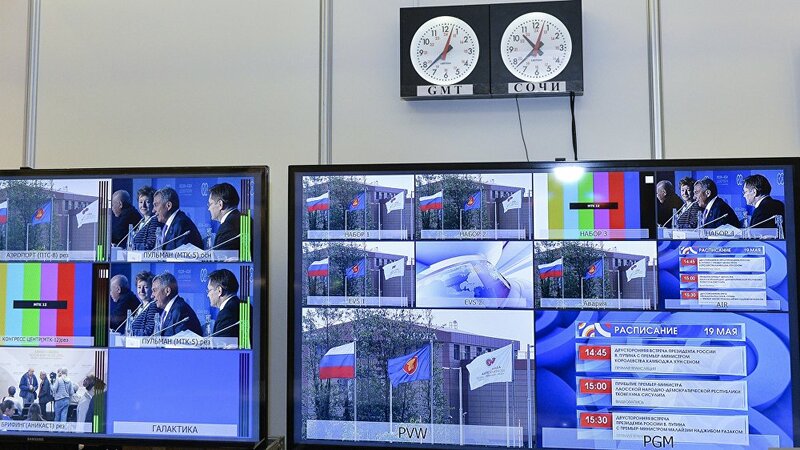 Monitoring screens at a studio of the host television broadcasting company at the International Press Centre for ASEAN-Russia Summit in Sochi. 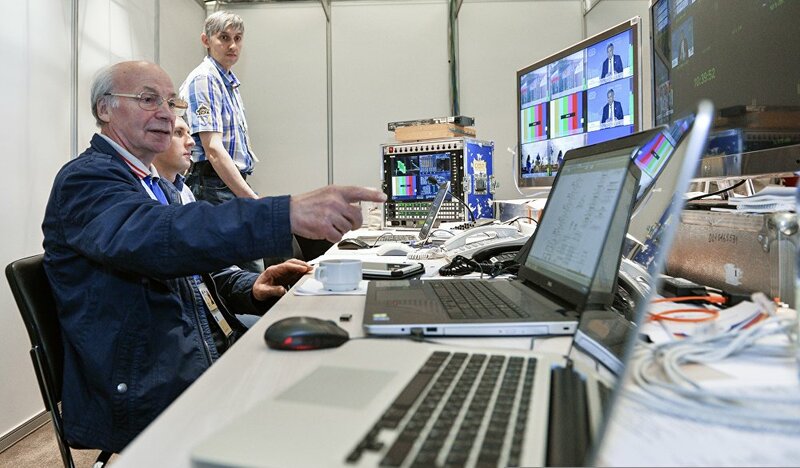 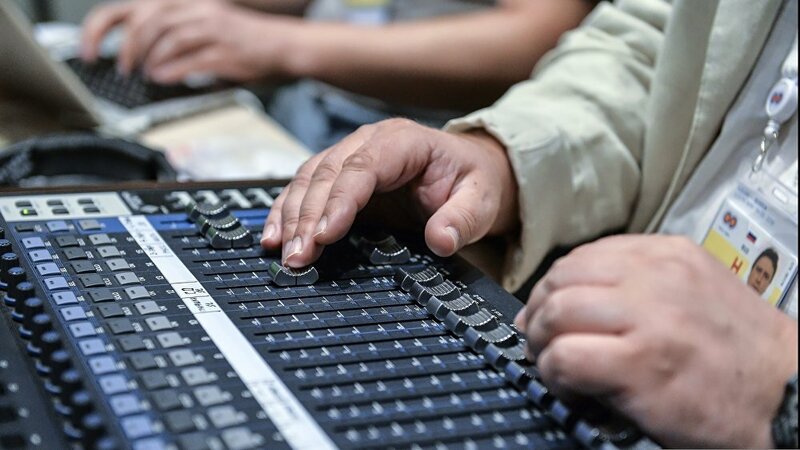 Production desk at a studio of the host television broadcasting company at the International Press Centre for ASEAN-Russia Summit in Sochi. 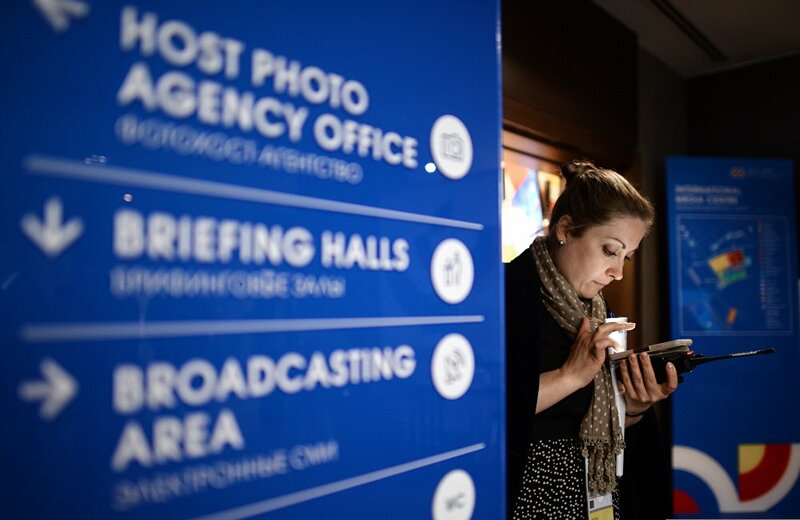 Employees of the host television broadcasting company at the International Press Centre for ASEAN-Russia Summit in Sochi. 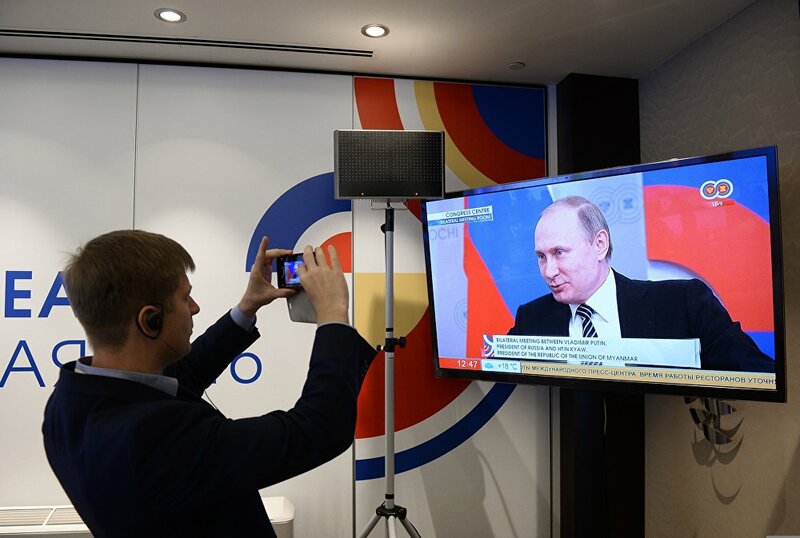 At a studio of the host television broadcasting company at the International Press Centre for the ASEAN-Russia Summit in Sochi. 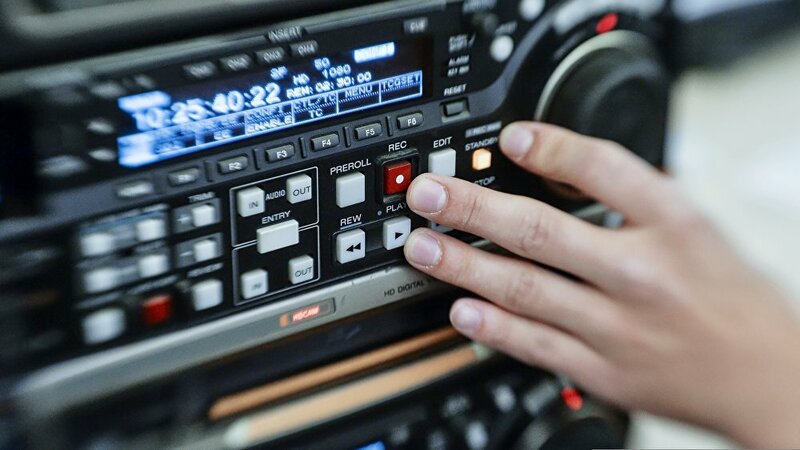 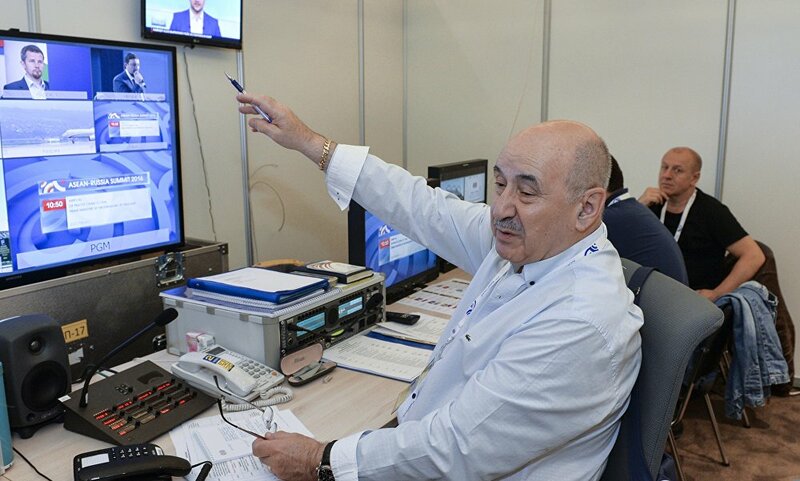 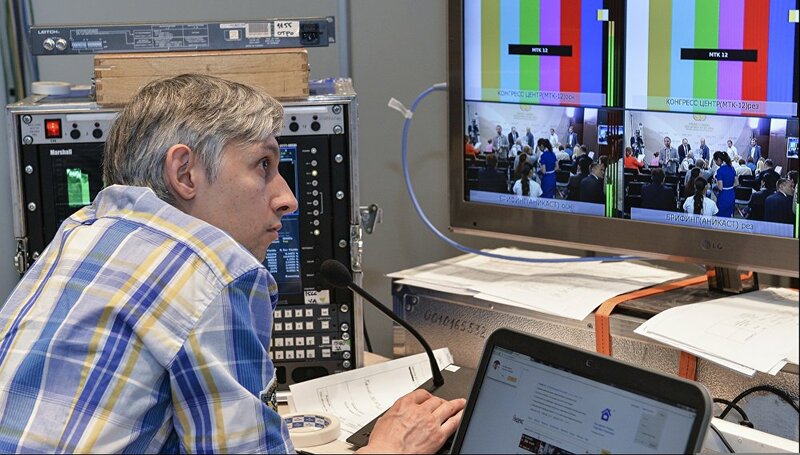 Leonid Taube, First Deputy Head of the Production and Technology Department, VGTRK, at a studio of the host television broadcasting company at the International Press Centre for ASEAN-Russia Summit in Sochi. 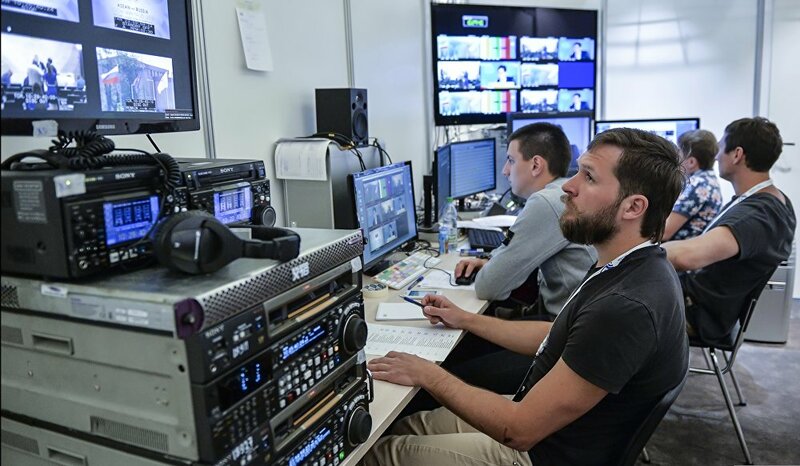 An employee of the host television broadcasting company at the International Press Centre for ASEAN-Russia Summit in Sochi. 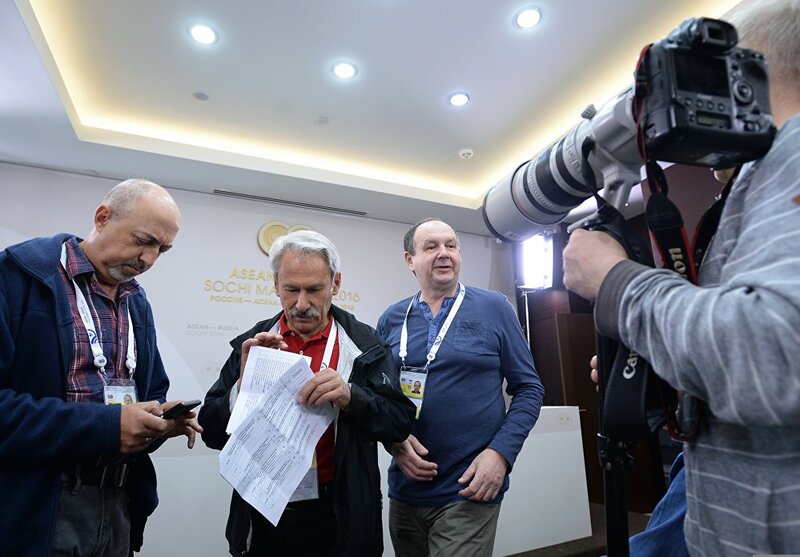 TASS photo correspondent Mikhail Dzhaparidze and Alexander Zemlyanichenko, Associated Press Chief Photographer of the Moscow Bureau, left to right, at the International Press Centre for ASEAN-Russia Summit in Sochi.